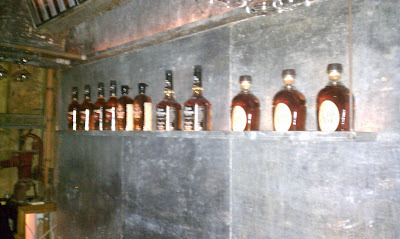 Harvard & Stone, a new craft cocktail bar focusing on American spirits, opened in the former Stone Bar location on Hollywood Blvd in the heart of Thai Town. Steve Livigni and Pablo Moix, the creative team behind hot spot La Descarga, partnered with the Houston brothers (same owners as Descarga) to completely revamp the space and create a bar that delivers quality without pretentiousness. There are two bars; the bar in front serves a classic menu that is continuing to expand and the bar in the back focuses on one spirit per month, with the drink menu changing nightly. 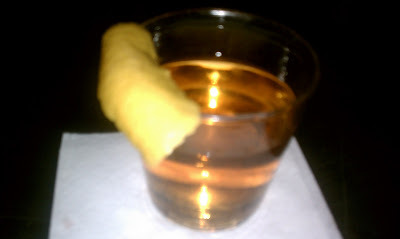 My favorite drink on the front bar menu is the Scaffa (below), which is made with Aviation Gin, Benedictine and Angostura Bitters. The cocktail is served neat, at room temperature and garnished with lemon peel. The scaffas that Steve Livigni serves at La Descarga and Harvard & Stone are the only ones of their type I have tried and they are both excellent. Most evenings you will also find Bar Manager Matt Wallace, formerly of Seven Grand, making cocktails and keeping things running smoothly. The staff of the bar is impressive and includes Mia Sarazen and Rich Andreoli, both formerly of Big Bar, as well as several other alumni of the better joints in town. 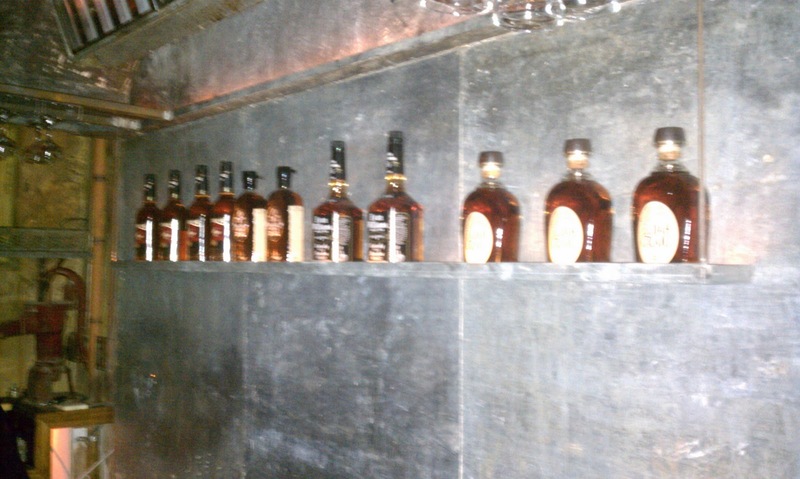 The back bar is known as the R&D Bar and is located in the former kitchen of the Stone Bar. Each month the R&D bar features a spirit, for February it was the products of Heaven Hill, for March it is gin. The featured gin for the first week of March is Aviation; that is likely to change next week. The R&D bar features American spirits and the menu changes nightly, so if you want to get a particular drink again, you are out of luck. This brings a whole new meaning to "limited edition." Each night a different bartender on staff creates a short list of cocktails and that is all that is served there. On my various visits Francois Vera, Nathan Oliver and Mia Sarazen have each created the drink list for the night and manned the R&D bar. I missed Pablo Moix's tiki night, which sounded especially fun. 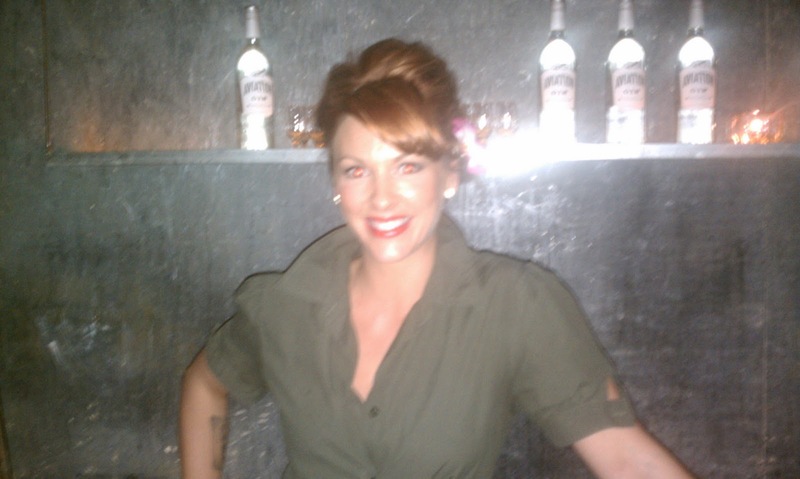 On this past Friday night, Sarazen (below) created four cocktails. 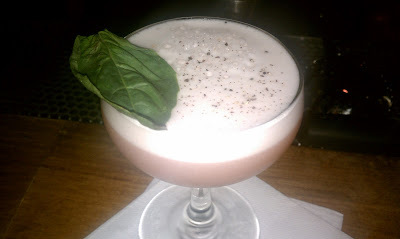 The standout was the Farm to Bar top (below, bottom), with Aviation gin, egg white, lemon, strawberry, basil, sugar and topped with black pepper. The egg whites gave it a wonderful frothiness and the black pepper on the top contributed a savory note. 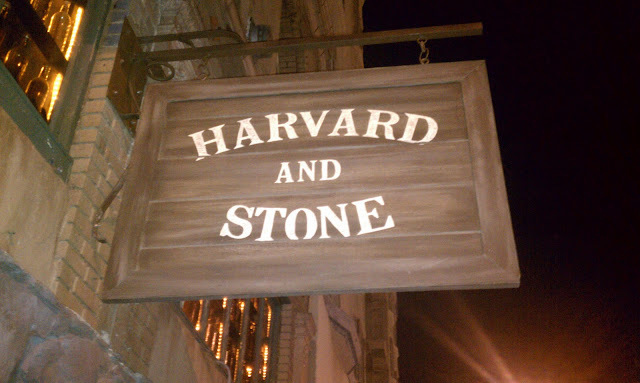 Harvard & Stone is more casual than La Descarga and fits in its East Hollywood scene. It feels a little incongruous to step out of Ruen Pair, walk down the block and find some of the best cocktails in town behind a very low-key signed wooden door. There is some serendipity in "finding" the bar and it feels like a hidden gem. The space and concept has been designed to be accessible, quality and fun. The cocktails are mostly $10, which is less than other spots in town charge for drinks of lesser quality. There is a doorman and some sort of dress code (no bright colors or logos?) but once you are inside it feels honest and authentic. Cheers to the latest star on the cocktail scene!